The OolaGuys and the soul-affirming Oola Dream Tour roll into Fargo, ND to Zandbroz Variety on April 7th from 1pm to 2:30pm! The Oola Dream Tour 1970 VW surf bus will be carrying—and collecting—the dreams and aspirations of thousands of individuals in the form of stickers attached to the outside of our VW. 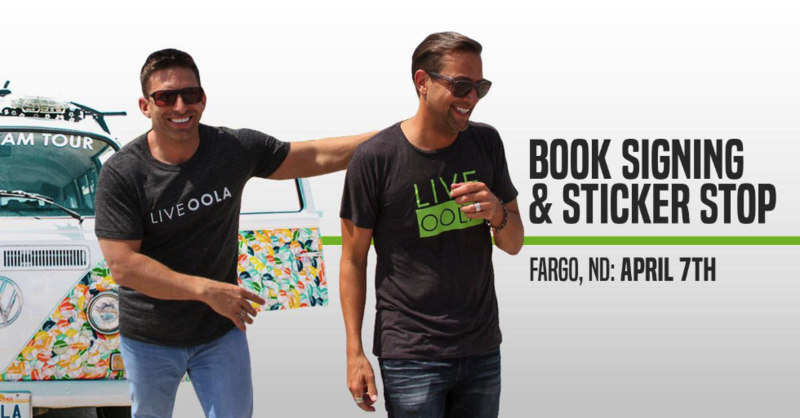 Meet the authors of the international best-selling Oola book series, get your Oola books signed, enjoy a free presentation and Q & A from the authors, and stick your dream on the side of the OolaBus!